Lawrence was born in Edgeworthstown, likely in the Old Rectory on 28 March 1894, the son of Rev. Lyon and his Australian-born wife Louisa. Rev. Lyon served in Mostrim parish between 1891 and 1897, before transferring to Kilcommock Church of Ireland parish between 1897 and 1917, where Lawrence lived until c.1912. He then emigrated to Canada** where he joined the Canadian Bank of Commerce in June 1912, working as an accountant prior to the war. 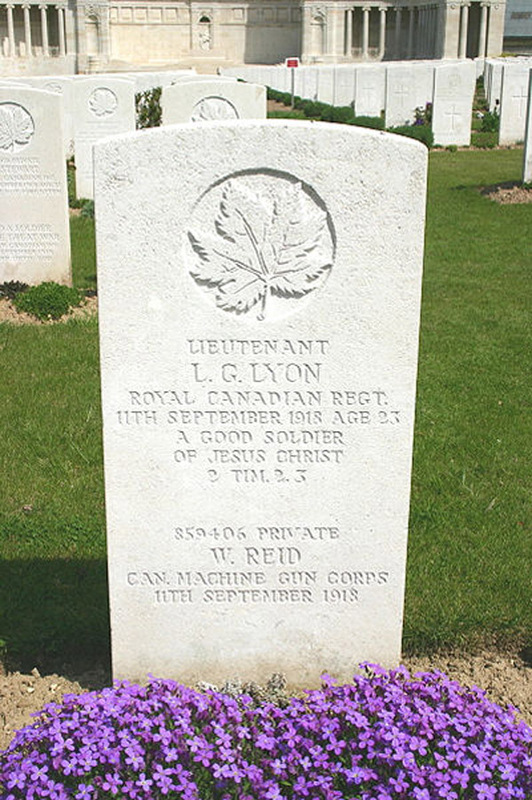 His father had earlier served as a clergyman in Quebec. While Lawrence was wounded in November 1916, it is likely that he recovered and all indications are that he was died from wounds received in action when his unit was south of Saudemont. 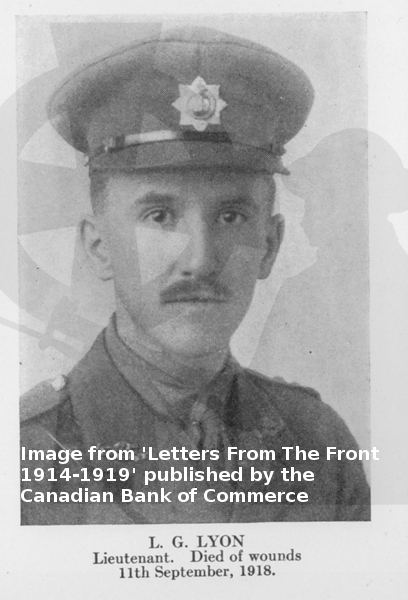 Lawrence's brother, Wallace Adlebert served with the Indian Army during the period of the Great War and after. Son of Rev. Paul Kemp Lyon and Louisa (née Crawford), Lower Sapey, Clifton-on-Teme, Worcester. **Likely on the S.S. Royal Edward. May have travelled with a W.W. Cooper from Avonmouth.